Summer won't be complete without a summer vacation escapade. I'm just so lucky that we're able to take a week off and spent wonderful time at Southwest Harbor, Maine. This was really exciting for us because it was our first time in Maine specifically (Mt. Desert Island) I wasn't expecting much but to my surprise the place itself is a paradise. Such a sweet treat to see such a scenic views from the car window, the shoppes, and the beauty of nature at its BEST. That's how our memorable, fun, and exciting summer vacation begin. The most exciting part about this blog post. I am going to take you to our adventures as we unfold our one week a-MAINE-zing summer vacation. Also, it will help you guide for your next summer destination at Maine. So, grab your favorite drink and lets chat. Shall we? But first, let me share with you a little story about Mt. Desert Island. The place is beautiful and home to Acadia National Park. In all, some 17.188 acres burned. Over 10,000 acres of this was Acadia National Park. Property damage exceeded $23 million dollars. Considering the magnitude of the fire, loss of human life had been minimal. An unknown numbers of animals died in the blaze, but park rangers believe that most outran the fire and found safety in ponds and lakes. Once the fire was over, it was time to start anew. Some timber was milled, slash was burned, and other logs, still visible today, were left to prevent soil erosion. Nature, however, played the predominant role in the island's restoration. The forest that exist today re-grew naturally. Wind carried seeds back into burned areas and some deciduous trees regenerated by stump sprouts or suckers. Today, instead of one uniform evergreen forest, we are treated to brilliant mix of red, yellow, and orange supplied by the new diverse deciduous forest. I had so much fun reading the history about Mt. 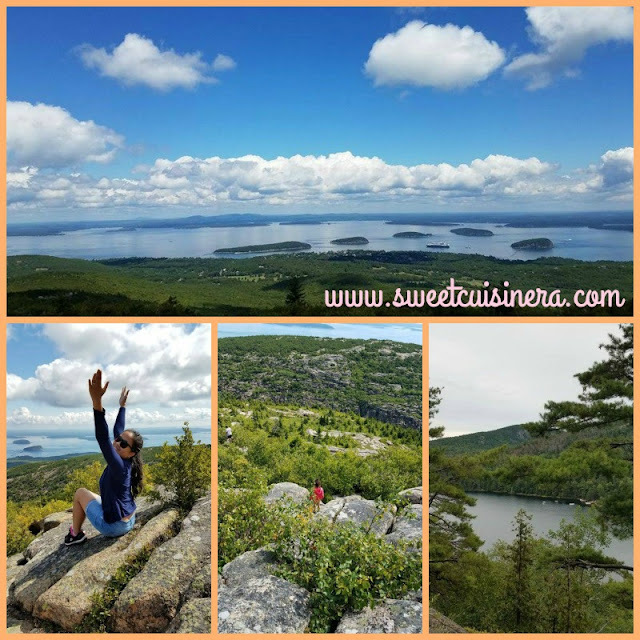 Desert Island, Bar Harbor, and Acadia National Park. I can't help myself but to fell in-love with this place. Are you ready to start this adventures? Lets go! 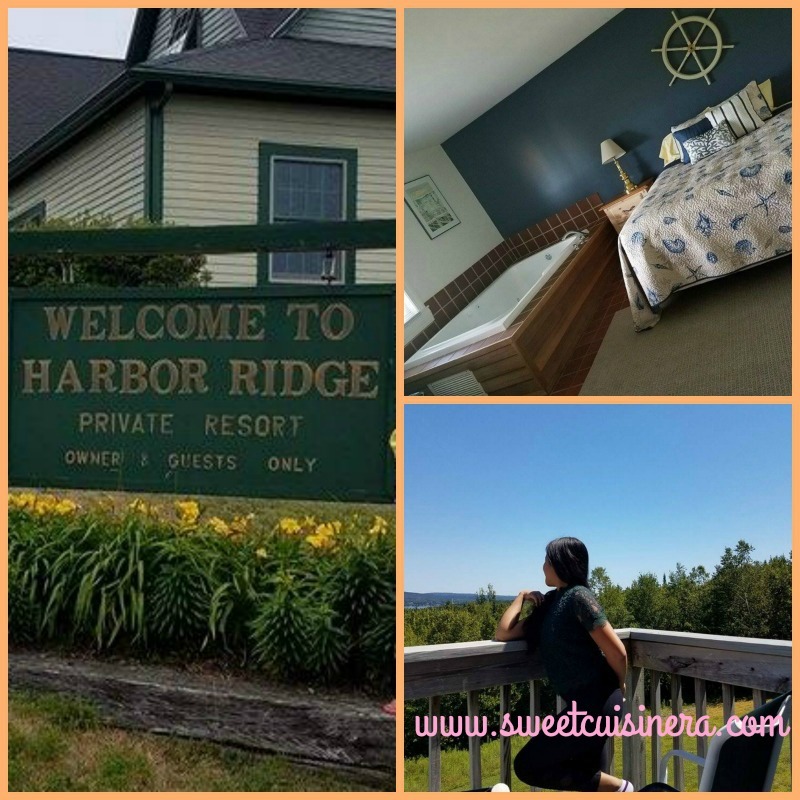 Stay Cozy at Harbor Ridge Resort a perfect place to stayed in while visiting Southwest Harbor, Maine. The place was SO PERFECT. It offers everything for a great vacation. A deck overlooking the beauty of south harbor, nice beds and hot tub and of course the kitchen where we cook our food.I personally LOVE this place. Its BEAUTIFUL! Looking to camp? Blackwoods, Seawall, and Schoodic Woods are the primary campgrounds in the park. Now that we have a beautiful place to stay in. Lets move on to our MAINE Food Adventures. Yes! As foodie lover this is probably the most awaited right? First taste was this delicious Lobster Roll with homemade potato salad. It was so good. A must-try for seafood lover out-there. 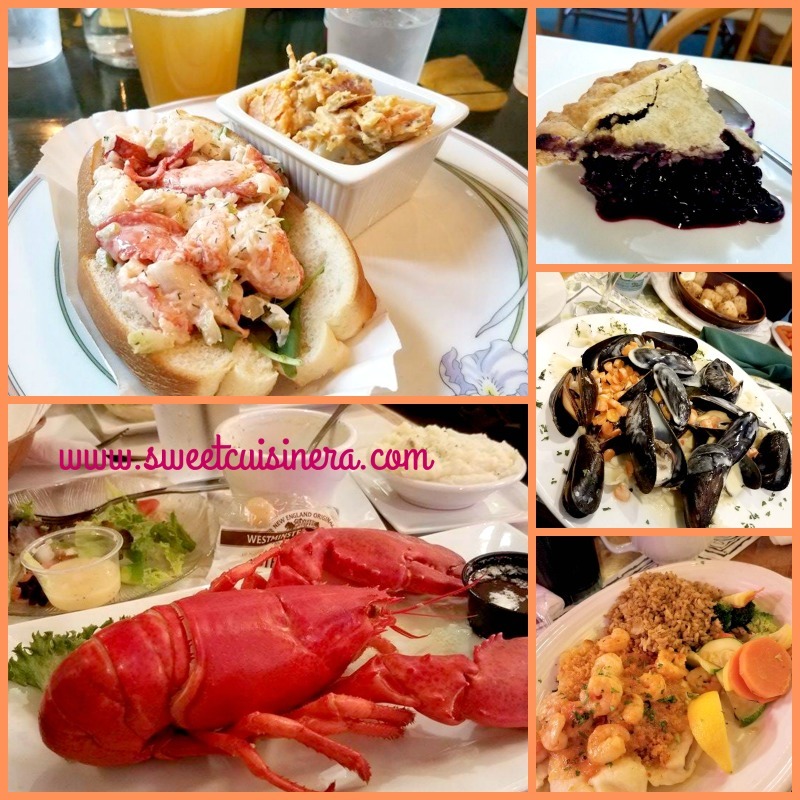 Next was Lobster Combo Deal where I get to have a whole lobster to myself (lol) Other food we tried are Margaretta Mussels, Fish & Shrimp, Trio Seafood Sampler, Parmesan Scallops and so much more. Also, if you're into pies- this Maine Blueberry Pie is a MUST- have when your at Maine. It made with Maine wild blueberry (which you can find everywhere in Maine) and it taste scrumptious. Next adventures are so fun and exciting! 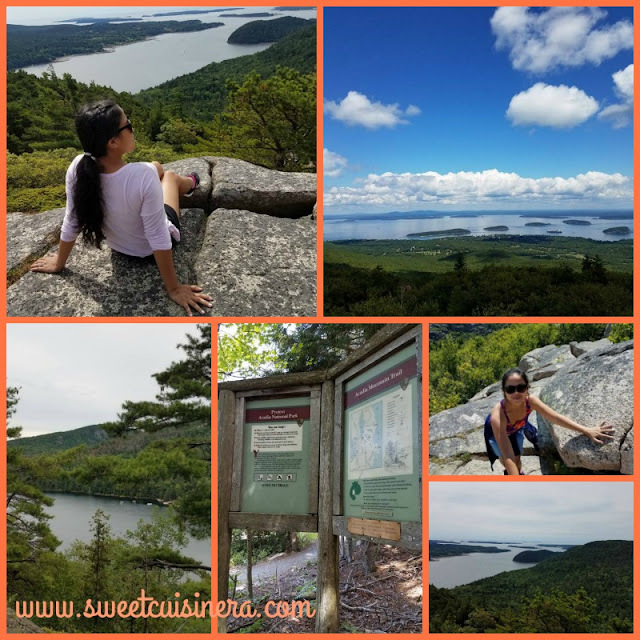 Let me welcome you to Hikes & Trails Galore where I experienced hike granite peaks, carriage road, beautiful trails, climbed mountains, rugged coast of Maine, and relaxing scenery at its BEST. I personally start with very easy trails which includes Bar Harbor Shore Path ( not a park trail ) offers Harbor and Island views. Wonderland Trail offers evergreen forest to rocky ocean shoreline. Easy Trails- These hikes are on uneven ground, but overall are fairly level. I love this kind of hike and great to start with if your new into hiking. There are some trails listed but I'm only going to share the trails that I hiked. Bar Island, Great Meadow Loop, Ocean Path its start from Sand Beach to Sea Cliffs. Be careful near cliff edges. Moderates Trails- these trails have some steep grades, and some level stretches. Its kinda like a moving up little bit from easy hikes. So, We tried to do two moderate trails out of eight trails listed. Cadillac North Ridge Trail- open scent, views of Frenchman bay. Indeed beautiful! Great Head Trail was one of my favorite. Its really inviting hike for me and my family. We walked through evergreen forest along sea cliffs and experienced the beauty of nature. We sat on rugged shore line over looking the scenery, and hearing the ocean waves. Acadia Mountain Trail was one of my favorite views of some sound, step descent to fire road. I admit that it was little challenging for me at first. But, then again, we stopped multiple times enjoyed the beauty of nature and when we reached the top. It was BEST ever! I can't describe how fun and memorable it was being on the top of Acadia Mountain and seeing everything from top. It was indeed BEAUTIFUL. If your looking for great place to hang out and for swimming. Sand Beach is famous for its unique sand made of shell fragments. It is a great place to go for the day to relax and enjoy the Maine weather. 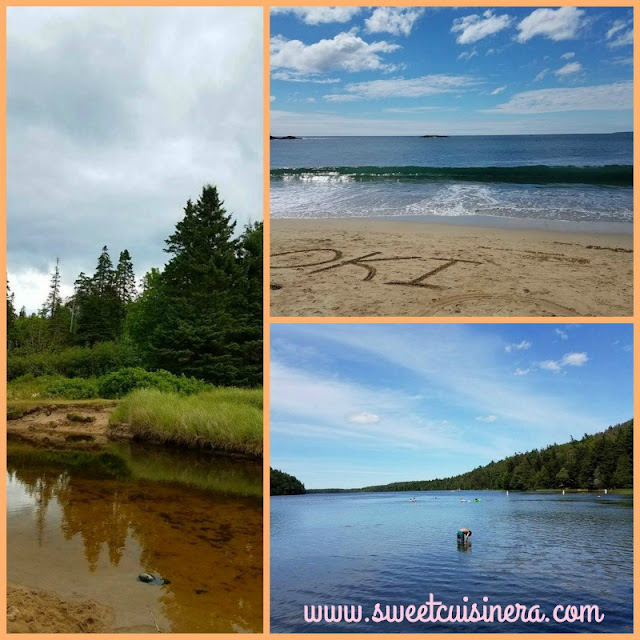 I personally love Sand Beach its located really close to nice hikes and trails Great Head Trail & Thunder Hole are two really popular tourist destination. A great place for lunch or picnic after long hikes. We visited this place twice and can't get enough of its beauty and uniqueness. Another great place for swimming is Echo Lake is really popular swimming destination. It's located very close to Acadia Mountain Trail and other beautiful trails. My kids love being here and spent half of the day swimming. Aside from these two great swimming destination. We also enjoyed the indoor pool and soaking on hot tub offer at the resort that we stayed in. It was so FUN! We done so many things in a period of a week. I surprised myself on how many things we accomplished. Next on our adventures are Sight Seeing Tour Cruise. 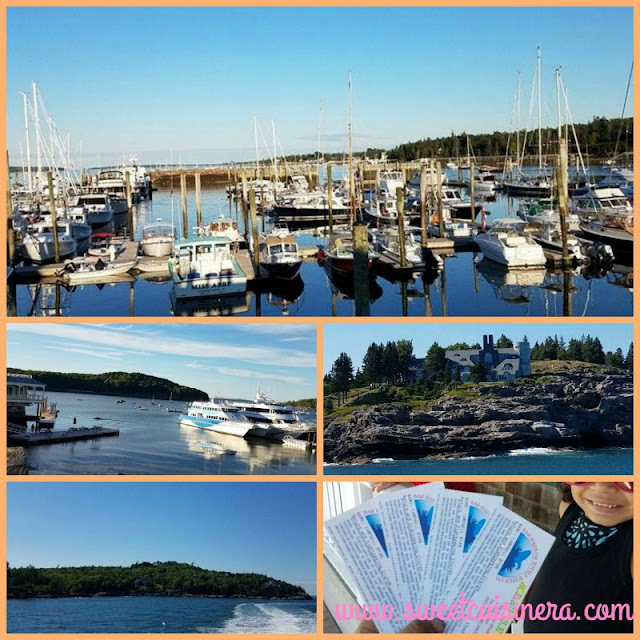 Yes, the Island offers all kinds of tour cruises, like Whale watching, lighthouse & Acadia Park Tours, Lobster and much more. We decided to go for Sight Seeing Tour Cruise- it was great experience. We're able to visit little island around the area, up close and personal with seals, lighthouse, and able to see 5 Eagles. On top of that, the scenery of the whole Island is beyond amazing. Yup! the trip lasted for like 2-3 hours and it was so wort it. Indeed one of the list on to-do list when visiting Maine. Even if the weather is not on your side. There are still ton of things to do, to make every single fun and special. Like visiting Museums & Oceanarium, OR take a drive on Park Loop Road where you can see breath-taking views. Its beautiful! We visited Wendell Gilley Museum a special stop in Southwest Harbor for visitors who love woodcarving, since this is the home of marvelous collection of carved birds. 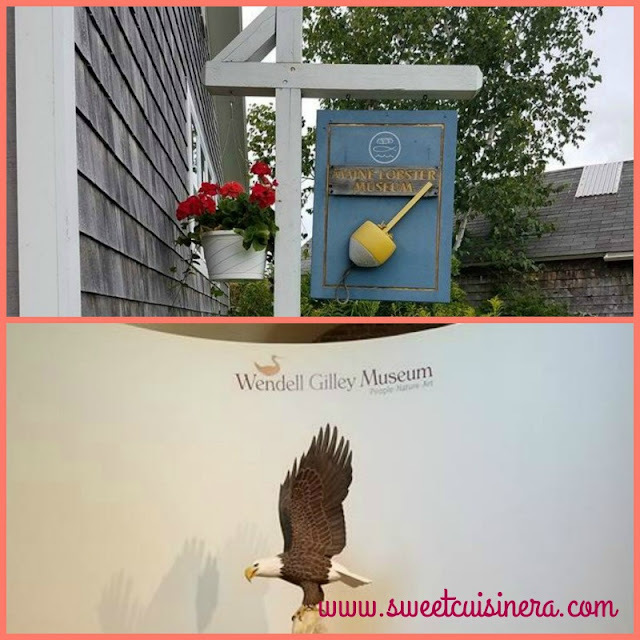 Local carver Wendell Gilley became very well know for his miniatures of song birds and sea birds. I loved all the birds carvings inside the museum. They all look SO real and so inspired by Wendell Gilley. Its great for birds lover, kids, and family. We also explore Oceanarium where we learned the life of the lobster and the lobster fisherman. I found out that it takes 7 years for a lobster to reach 1 pound. I was so amazed with this information and changed my views towards lobster. It was great visit and learned so much. ...and that summarized my a-MAINE-zing summer vacation. I hope you have fun reading my blog and gives you inspiration on your next summer vacation. Before I end this post. Let me share some tips that I learned from this trip and to save you money. * Get your PARK PASS you can buy this online or visit one of the locations. This pass is valid 7 days, and it gives you access when entering Acadia National Park. * If you're driving. Packed everything you need from toiletries, pantry essentials, and so much more. I literally brought everything with me. The only thing that we bought while we're there were the basic necessities like milk, butter, lunch.meat, bread, and water. That cut down our expenses to like 90 percent. * Packed your own FOOD. To maximized your saving packing lunches are best way to do it. There are lot of picnic areas around the park. It's great to just sit, relax, and enjoy the nature. * To enjoy this vacation to the fullest, treat yourself and family for great dinner.There's plenty of nice restaurant around and they all served delicious food. Yum! * One thing that we enjoyed to do after dinner is sight seeing around the area, shopping, and getting ice cream while watching Bar Harbor.